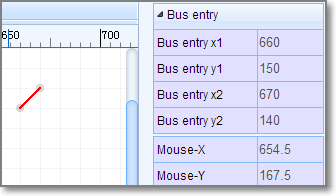 Note: Schematic, Schematic Library, Spice Symbol, Subpart and Subckt are used the same file format. Please check Schematic JSON File Source out before keeping read. 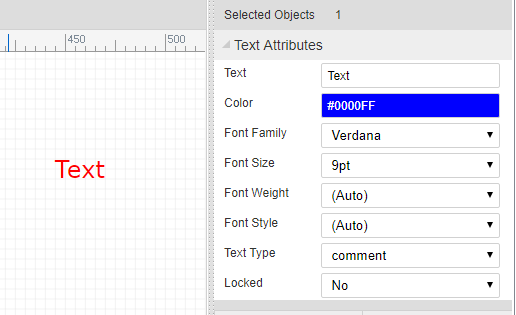 custom attributes: key: value pairs, separate with `, added via Add new parameter. pre:U? 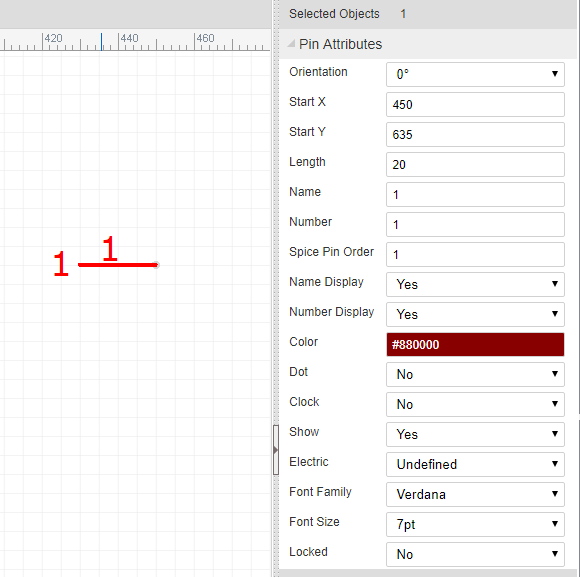 , when place to schematic, will be marked as U1, U2. subpart will be set as `U?.1`, `U?.2` etc. spicePre:X, `X` stands for a subckt. 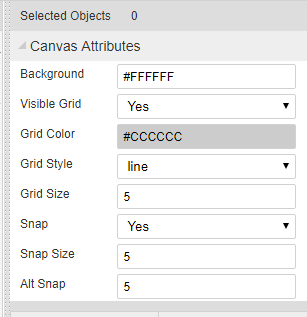 Place it to schematic canvas, it’s attributes will be looked like below image. 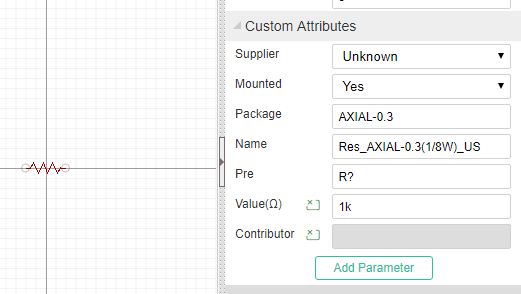 The name field is alias as Model and it is invisible. 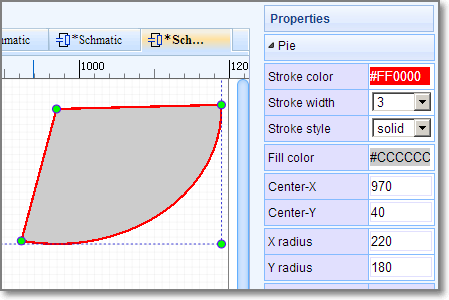 The shape is an array. EasyEDA store various shape in this field, they are different with a command which locate at the begin of the string. "PT~M230 170 C270 200 270 170 240 150 240 150 240 150 240 150~#000000~2~0~none~gge65"
Check Rect element of SVG out. Check Polyline element of SVG out. "PT~M670 300 C830 370 850 230 920 300 920 300 920 300 920 300~#000000~1~0~none~gge17"
Check Path element of SVG out. bezier is a path too. "A~M 1020 60 A 80 80 0 0 1 953.096 199.904~968.78,121.45,1048.785,201.457,1018.785,61.457,948.785,221.45~#FF0000~3~0~none~gge19"
Arc is a Path element, Check Path element of SVG out. "PI~M 970 40 L 1189.9 34.4509 A 220 180 0 0 1 923.103 215.863 Z~970,40,1190,220,1327.7106323242188,30.973068237304688,923.1032104492188,215.86282348632812~#FF0000~3~0~#CCCCCC~gge22"
Check Image element of SVG out. 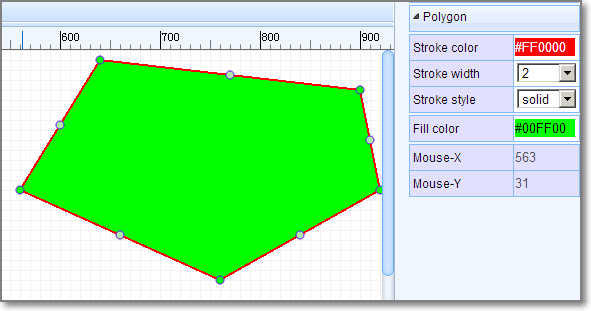 "PG~640 10 900 40 920 140 760 230 560 140~#FF0000~2~0~#00FF00~gge10"
Check Polygon element of SVG out. Check Line element of SVG out. 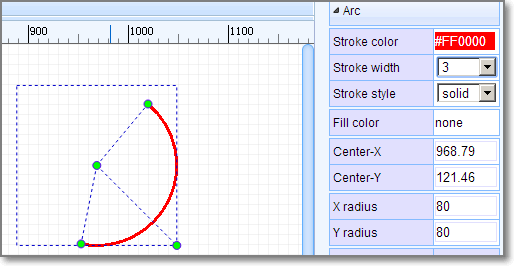 Check Circle element of SVG out. "B~570 130 680 130 680 210~#008800~2~0~none~gge19"
Bus is similar with Polyline, Bus is start with B, polyline start with PL. "P~show~0~1~670~30~~gge23^^670~30^^M 670 30 h -20~#880000^^1~648~33~0~1~end~~11pt^^1~655~29~0~1~start~~11pt^^0~653~30^^0~M 650 27 L 647 30 L 650 33"
A Pin has seven segments, join these segments with ^^ (Double Circumflex) as a string like above. The gray dot at the end of the Pin, it is important. 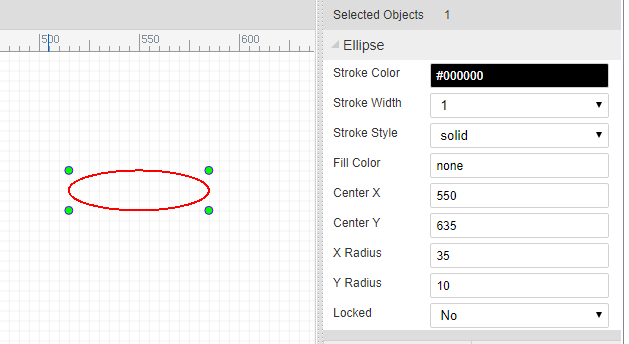 Check Ellipse element of SVG out. "AR~part_arrowhead~1060~120~gge23~180~M 1060 120 L 1063 126 L 1055 120 L 1063 114 Z~#FF0000"
Check Text element of SVG out. A Netflag has several segments, join these segments with ^^(Double Circumflex) as a string like above. All other items are shapes. "W~570 130 680 130 680 210~#008800~2~0~none~gge19"
Wire is similar with Polyline, Wire is start with W, polyline start with PL. "LIB~220~140~package`C1`nameAlias`Value(F)`Value(F)`1u`spicePre`C`spiceSymbolName`Capacitor`~~0~gge66#@$T~N~214~129~0~#000080~Arial~~~~~comment~1u~1~start~gge68#@$T~P~214~120~0~#000080~Arial~~~~~comment~C1~1~start~gge69#@$PL~218 148 218 132~#A00000~1~0~none~gge70#@$P~show~0~1~200~120~180~gge71^^200~140^^M 210 140 h -10~#800^^0~214~140~0~1~start~~^^0~206~136~0~1~end~~^^^^#@$PL~230 140 222 140~#A00000~1~0~none~gge72#@$PL~222 132 222 148~#A00000~1~0~none~gge73#@$P~show~0~2~210~120~0~gge74^^240~140^^M 230 140 h 10~#800^^0~226~140~0~2~end~~^^0~234~136~0~2~start~~^^^^#@$PL~218 140 210 140~#A00000~1~0~none~gge75"
A schlib has several shapes, join these shapes with #@$(Octothorpe Ampersat Dollar) as a string like above. 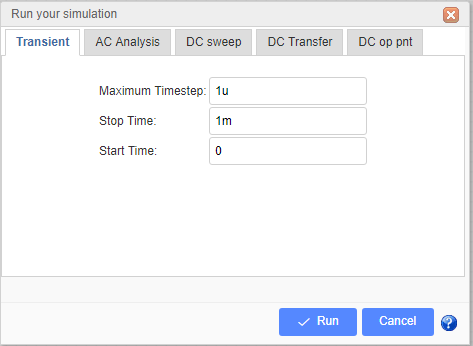 These items will be used to create netlist, save them to separate field will make you spent more less time to do this. We don’t need to traversal all the shapes.